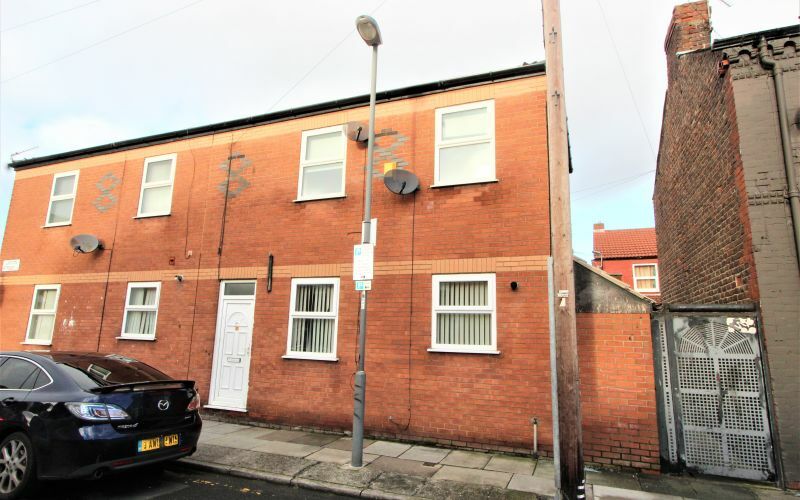 A two-bedroom terraced property located in Walton, Liverpool. Sold with vacant possesion. Walton is situated around 4-miles from Liverpool City Centre and this property is located for easy access to the city centre by both car and public transport. Close to both the A59 and Queens Drive which both provide access to the motorway networks for the North West. Stanley Park is within walking distance and there are a range of amenities and schools within the immediate area. This property is located on a terraced street, with residential on street parking. The property is offered with no ongoing chain and boasts from; central heating, double glazing, neutral décor throughout and a rear yard. The property briefly comprises of a lounge, kitchen, two bedrooms and a bathroom. You enter the property and are immediately greeted by the lounge. This room has a front aspect window, the stairs to the first floor which are adjacent to the front door and a door to the back of the room leading through to the kitchen. The kitchen provides access to the rear yard with a rear aspect window overlooking the yard. There are fitted floor and wall units with an integrated hob, oven, extractor and sink with drainer. To the first floor there are two double sized bedrooms, and both are carpeted. The bathroom contains a three-piece white suite consisting of a low-level w/c, hand wash basin and panelled bath. There are tiles to the walls and floor and a rear aspect obscure window.